Our Workshop aims to respond in a non-violent and harmonious way to conflicts, that we face everyday. Prevent violence, it is a way to restore the connection, it is a way to give meaning where it was lost. This workshop develops a culture of Peace and Harmony between individuals and promotes a process of Reconciliation. Our Workshop focuses on the understanding and the recognition of our own needs and on the possibility to express them. It allows children recognising their emotions and expressing them in a non-violent way – with words or the body. It develops a quality of listening to his own needs but also the needs of the other. This workshop is based on learning tools, which allows acquiring skills for a deeper knowing of ourselves: learning to listening to himself and being able to express feelings and emotions. 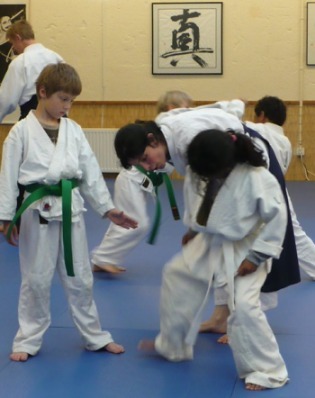 The used techniques are based on Aikido and Mediation.